Are you searching for the best block in the best estate in Burleigh Waters? Burleigh Cove is renowned as the most prestigious residential pocket of this popular suburb and now is your chance to make a wise investment in your future. Nestled in an enviable point position of a cul-de-sac, and boasting an incredible 40 meter waterfront, this oversized four bed + study, three bath family home is set out over a sprawling 938sqm block and oozes potential to be transformed into a dream waterfront residence. Featuring formal and informal living and dining, a spacious kitchen with acclaimed Miele appliances, the downstairs area is framed by spectacular city skyline and water views. Upstairs, you’ll be forgiven if you never want to leave the sanctuary that is the master bedroom. Boasting picture-perfect panoramic views of Surfers Paradise and the waterways beyond, this oasis also offers an ensuite with spa, balcony, air-con and walk-in-robe. The remaining bedrooms present with built-in-robes, fans and air-con and share access to a three-way bathroom. Retreating to the outdoors, you’ll adore the covered alfresco area and sunny deck. Flanked by tropical, well established gardens and lawns and overlooking the in-ground solar heated pool, there’s also a hunter electronic irrigation system in place for your convenience. 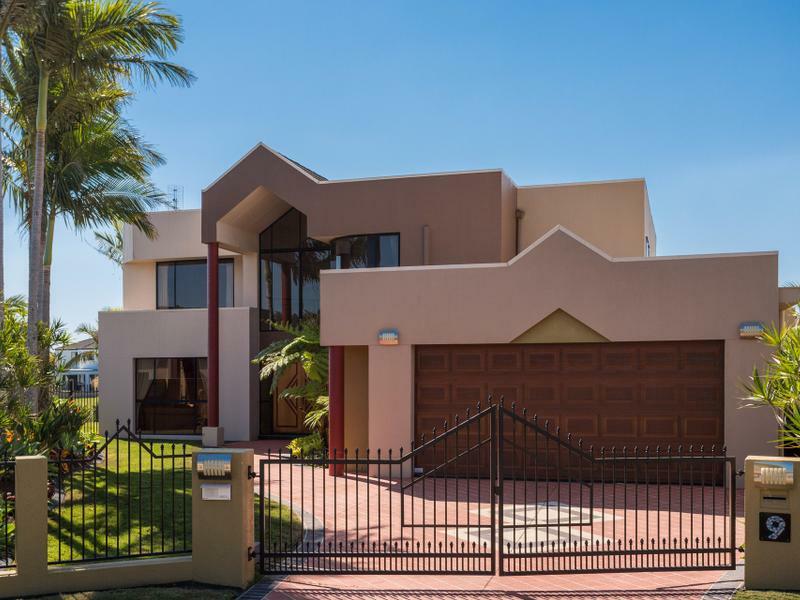 Situated in a tranquil, family friendly locale and central to local shopping centres, first-class public and private schools and beautiful Burleigh Beach, this home presents with an abundance of potential to be the perfect fit for your family needs. Do not delay, arrange your inspection today.